Who amongst us hasn't been faced with this horrible dilemma when eating Tex-Mex: soft shell tacos or crunchwrap supreme? With stakes this high, you should never have to choose just one! If you love both, but just don't have a big enough appetite to eat both dishes at the same time, the solution is simple: combine 2 dishes into 1. 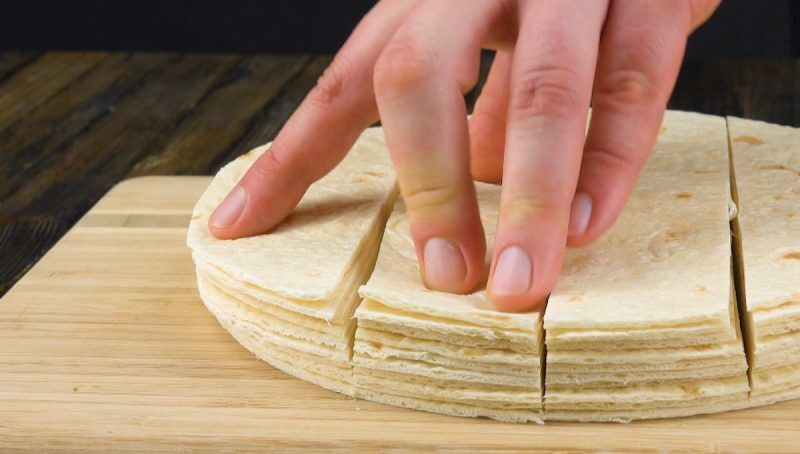 With all the simple comforts of a taco, combined with the crisp, contained offerings of a crunchwrap, you'll love this layered ring that tastes even better than it looks. 1. Preheat the oven to 350°F and heat a large pan over medium heat. 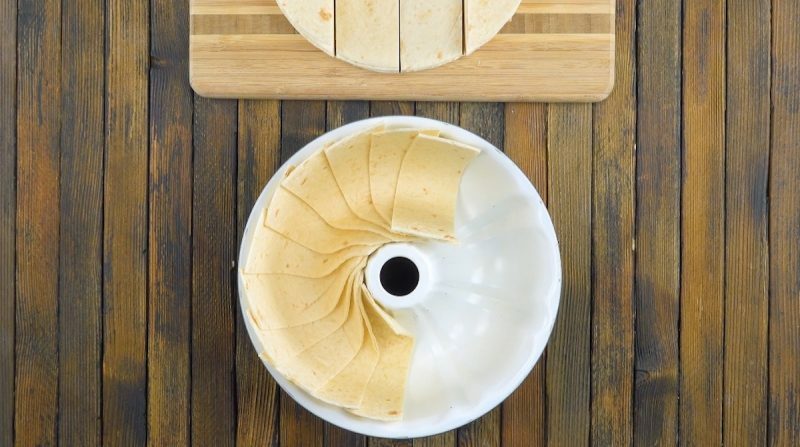 Stack 10 tortillas on top of one another and cut the stack into 4 equal sections. 2. 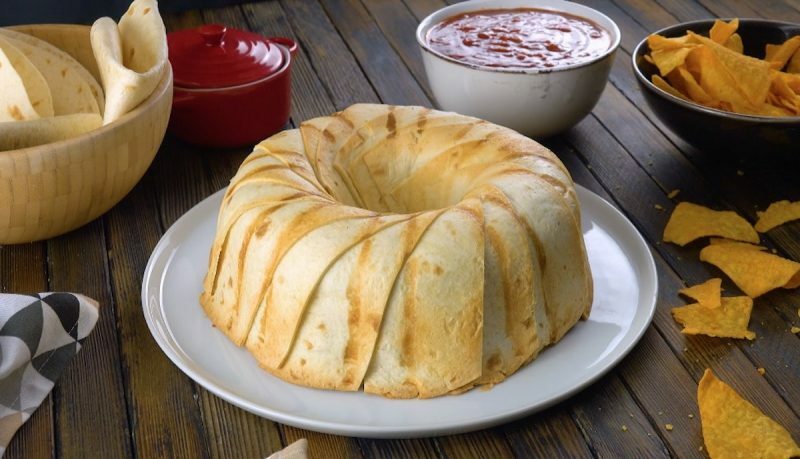 Spray a bundt pan with cooking spray and line the pan with tortilla strips, as shown in the video. 3. 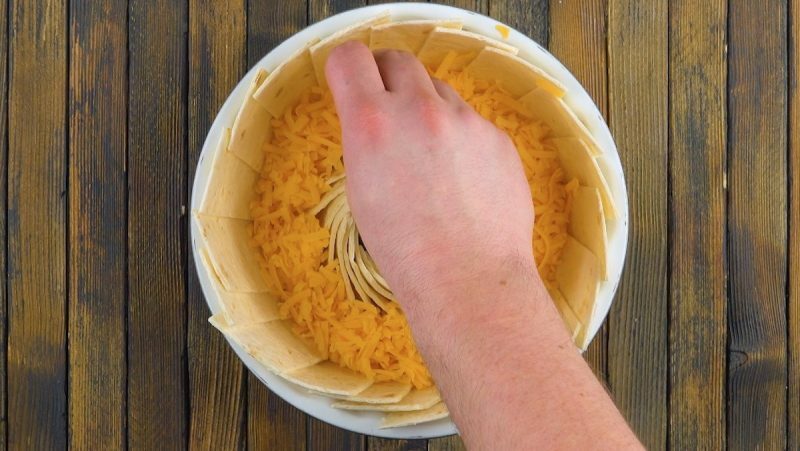 Spread half of the cheddar cheese around the pan. 4. 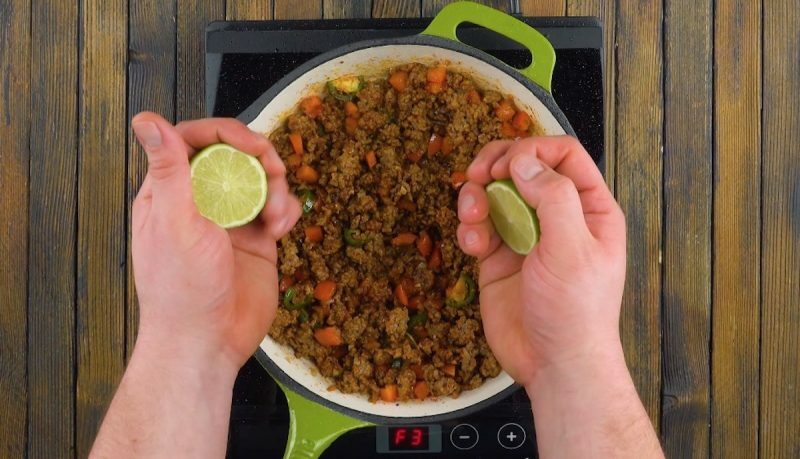 Add the ground beef, vegetables, and seasonings to your heated pan and cook for about 5-10 minutes. Then squeeze the lime juice over the beef mixture. 5. Let the beef mixture cool a bit and then distribute half of it on top of the cheddar cheese. Top with a layer of tortilla strips. 6. 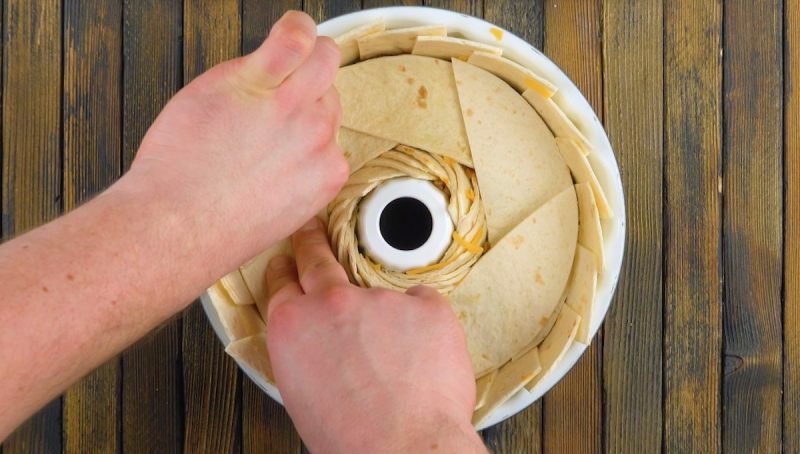 Then add the remaining layers in the following order: mozzarella cheese, tortilla chips, tortilla strips, cheddar cheese, beef mixture, mozzarella cheese, and the remaining tortilla strips. Cook for 45 minutes. Throw in a side of salsa or guacamole and it looks like you've got your new go-to Taco Tuesday recipe! You can find the recipe for the Tex Mex Chicken featured in the bonus video here.